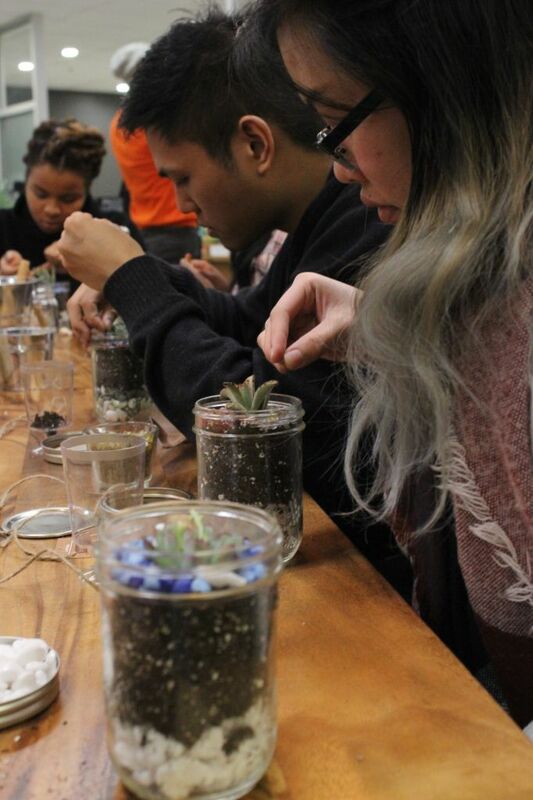 With -20 C temperatures and snow covering everything outside, Algonquin students decided to bring a little gardening indoors by creating their own mini-terrariums Feb. 4. All they needed were Mason jars, small pebbles, soil, and accessories. All the supplies were on one table surrounded by students waiting for instructions to start building their own terrarium. It started around 7 p.m. at the AC Hub and by 7:10 p.m. the tables were full and more students were waiting to be seated. Melissa Marchand, the event assistant, managed to fit everyone in. She started by introducing herself, the event details, then the first step of building the terrarium. Some students knew how to build their terrarium, but most of them had no clue where to start. They chose the pebble color they wanted, placed them in the bottom of the jar, then put the soil on top of it until the jar was full. Leanne Jarrett walked around with a cart full of different succulents plants for students to choose from, and Melissa Marchand started explaining how each succulent will look like after a few weeks. The next step was to start breaking the soil around their succulent, then they placed the succulent in the soil, and the last step was to accessorize the terrarium. Colorful pebbles and small toy animals filled most of the terrarium jars, and a “Create a difference” pin was placed on the outside of them. “I did not have classes today, I just came for the activity,” said Marco Luteria, a culinary management student who attended the Mason Jar Terrarium activity for the first time. Jennifer Yuan, a computer programming student who attended the Mason Jar Terrarium activity for the third time, said she liked having all the supplies available for her and all the other students. Marchand ended the night around 8 p.m. with care and maintenance advice. 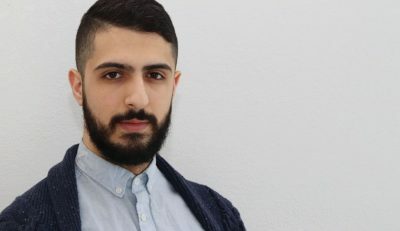 Cold outside, but Mason jar terrariums sprout green thumbs inside Reviewed by Baraa Jaafar on February 13, 2019 .